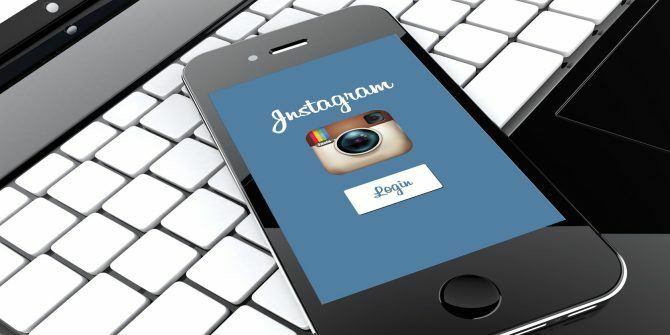 Last year Instagram introduced live streaming to its Stories feature 8 Tricks for Instagram Stories You Definitely Didn't Know About 8 Tricks for Instagram Stories You Definitely Didn't Know About Let's have a look at the not-so-obvious features of Instagram Stories you can use to level up your story game. Read More . Since then, livestreaming on Instagram has continued to grow, allowing users to add friends to their livestreams. The latest addition to that is how you can request joining in on a live Instagram stream. When you’re watching a friend’s live video, you can tap the Request button that should be viewable on the screen. If your friend accepts your request, you’ll have a moment to get ready before going live to your friend’s audience. Both livestreams will be displayed on one split screen. If you’re the one who is live, you’ll see requests from friends in your comments. In the notifications below the comments sections, you can also see how many requests you’ve received. Tap View to see open up the request. If you’d rather reject it, just tap Cancel. If you’d rather be the one to invite someone to join, tap the icon with two faces, and select the person’s name you want to jump into your livestream. The catch here is that you can only invite friends who are already viewing the video. While this is a great way for friends to entertain each other, this new feature could also come in really handy for brands or celebrities. It’s a great way to conduct mini-interviews, or even take live questions from your audience. Do you use Instagram live videos? Are there any Instagram users you think are knocking it out of the park with their live videos? Let us know about them in the comments. 9 Thriving Twitter Communities All Geeks Should JoinWhat Is the Facebook Explore Feed and Why Should You Care? Why don’t i have the request button pop up when i join a live feed?!? I don’t have that request button pop up?!?! Why?? !